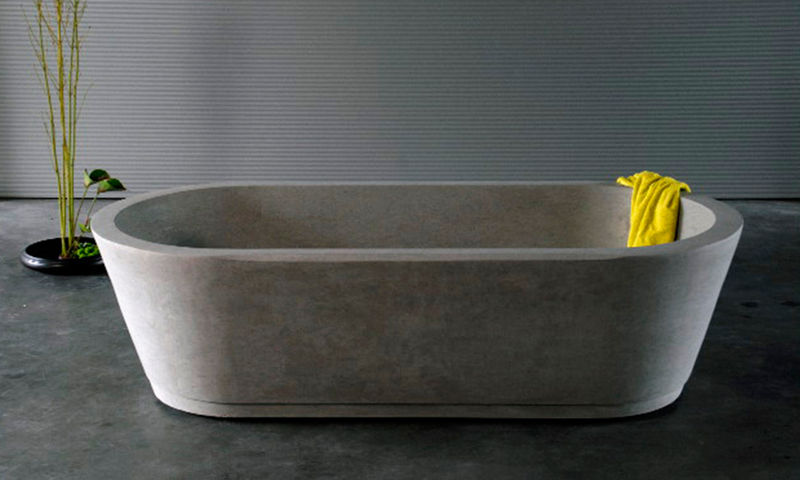 It’s obvious, natural stone bathtubs are beautiful. They are normally characterized by its simplicity, comfort and luxury. Besides, at the present time, natural stone bathtubs can be placed in interior and exterior areas, since the material is suitable for different kind of spaces. 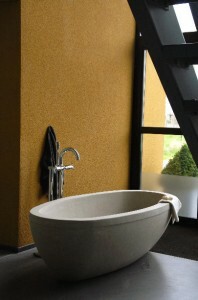 Natural stone bathtubs, therefore, are appropriate for modern and minimalist bathrooms. This material pureness and appearance embellish every space. Nowadays, decor trends revolve around neutral colours, which are able to create quiet and peaceful atmospheres at home. As a consequence, natural stone has become one of the most popular materials in the construction and decoration fields. Not only bathtubs, showers are also suitable to be made off this material. Natural stone cladding combined with glass doors and metallic taps will definitely shape amazing bathrooms. Nonetheless, if you are looking for exclusive results, natural stone offers a wide range of finishes. Without any doubt, these pieces will make the difference. It is also possible to have an exterior shower made off natural stone, near the swimming pool. In these cases, the options are limitless. For exterior areas it is recommendable to use masonry, the results will be very natural as it combines perfectly with the garden foliage. Natural stone is a versatile material completely compatible with every style. Glass, wood and metals can be combined with natural stone. Furthermore, our 6 types of natural stone (extracted from our own quarries) offer a wide range of colours. It is also possible to play with different types of finishes so as to create amazing and unique combinations. The size and the style of your bathroom don’t matter. Natural stone bathtubs are characterized by its minimalism and they can be found in different colours, from the cream tones (Bateig Beige) to the blue ones (Bateig Azul). With this kind of bathtub you will be able to recreate a Scandinavian interior design by combining it with towels, candles, etc. The result will be an amazing place to take a bath and relax from stress. Each piece is unique, since there are not two identical ones. For this reason, natural stone bathtubs are elegant, stylish and genuine.